Where have I been?! – Go Blondie! WHERE HAVE I BEEN?! I know I have been absent for a while. 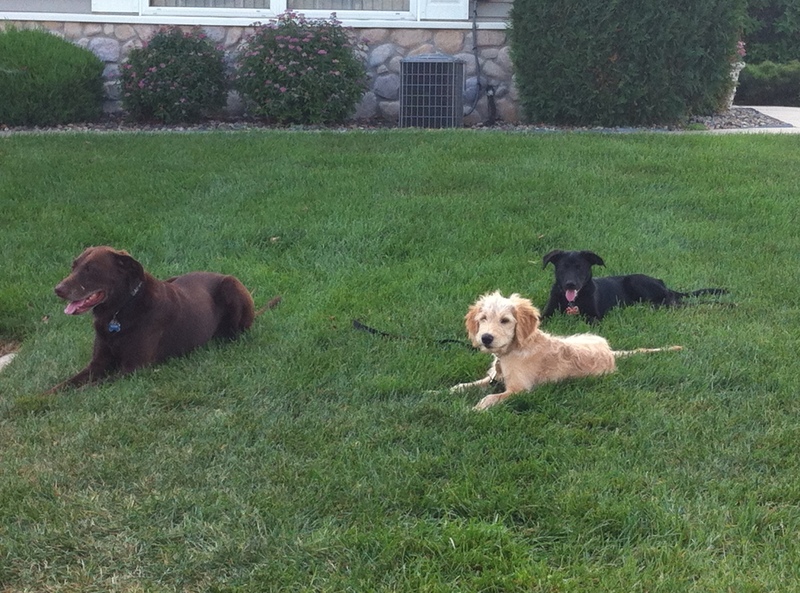 I have been busy at work, Arie’s puppy classes and lots of family get togethers. We have our own dog park- how lucky are we. 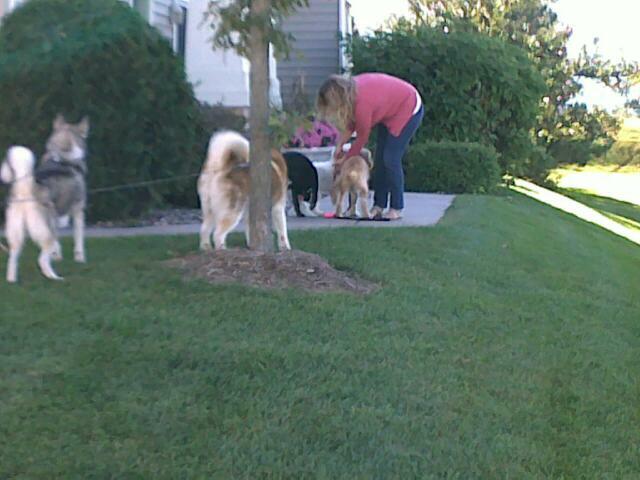 Arie has so many friends in the neighborhood its crazy but so nice because he gets to socialize. Arie’s legs are so long but can’t get up on the couch. hehe Finn looks comfortable. 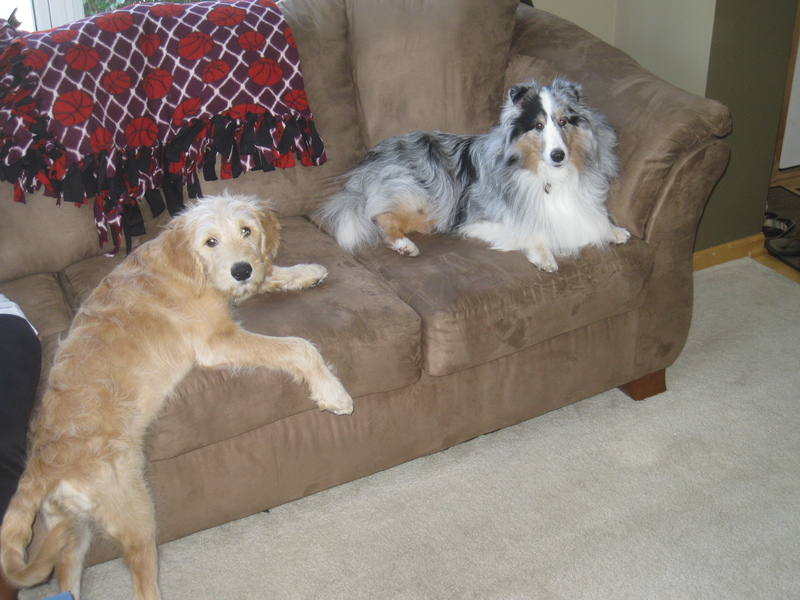 Arie sitting with girlfriend Brandy and her brother Captain Morgan. 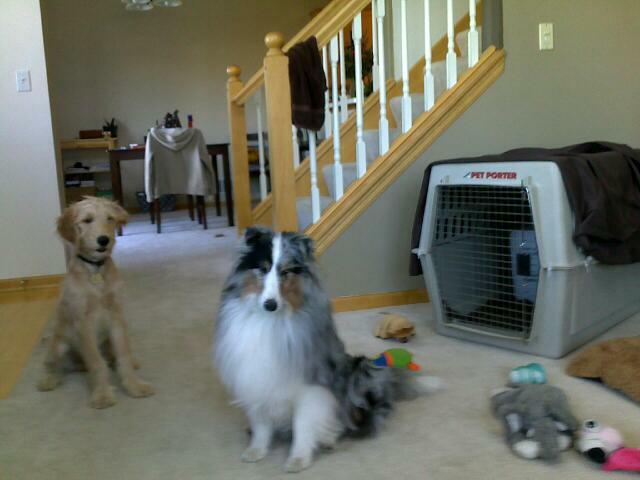 There are five dogs in this photo and 5 are missing. 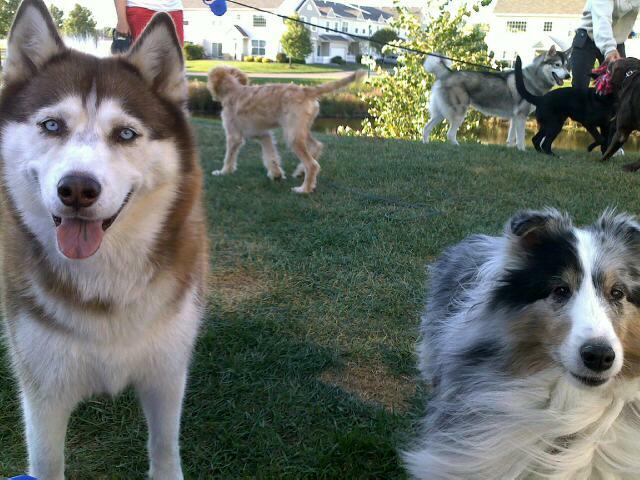 Two huskies-Bella and Grr, Brandy, Arie and Daphine. 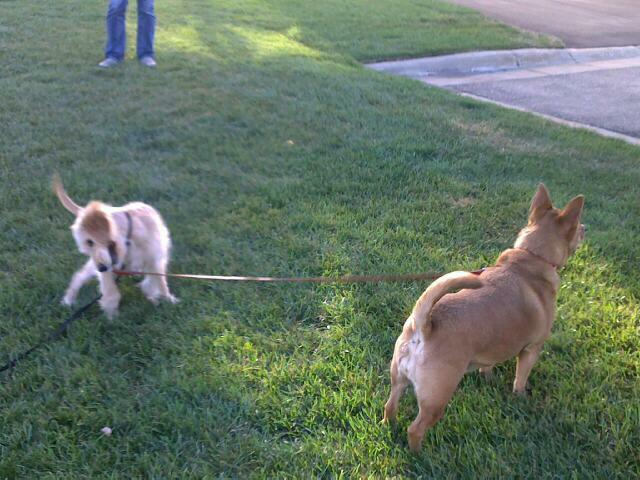 Arie started grabbing the other dog’s leashes and would walk them. If they didn’t go the right way he would pull them the other way. This is a cool picture of Bella and Finn.